PREPARE FOR SOME SERIOUS BLASTING !!!!! 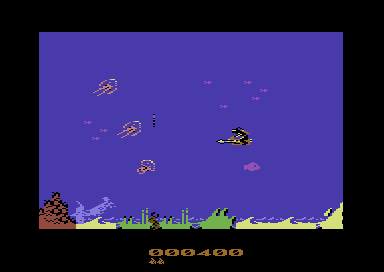 The Shoot 'Em Up Construction Kit (Or SEUCK for short) allowed people with a creative mind to design brand new game creations, without the need of programming strings of code, and assembling the instructions to a full program. 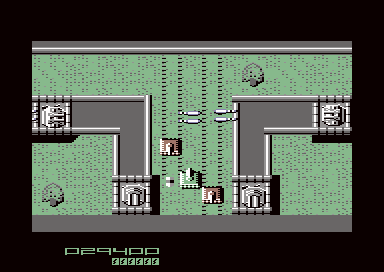 Instead, SEUCK has a variety of options, that in order for the user to create a brand new C64 game, a series of built in editors are crammed to one file. That is unless you're using Advantages' NTSC version of the editor of course. 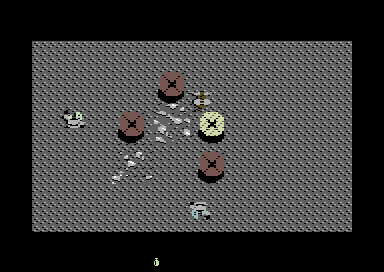 SEUCK allowed you to create your own sprites, and create actual objects as players, bullets, deaths and of course the enemies. Then later on, you could design and construct your very own in game background, with use of the characters, tiles, and map editor. You could also setup player limitations (lives, length and height of play field, collision type, etc). There is also a very simple level setup, where you can choose to push or constantly scroll the game screen. Still timers could also be set to time levels.. Also there are limited attack wave patterns, where you could insert new enemies or link existing ones to build a boss, etc. You could create any type of blaster you wanted to (or even push SEUCK further to do randomly different things). 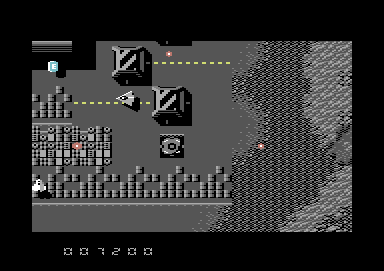 CETI 21 by TND GAMES was created and designed in the Sideways SEUCK module. The SEUCK compo has been going on for many years, since the early 2000's. The first SEUCK compo was hosted by AKIRA, who hosted Shmups.com, at the time. Since time was a major issue, and (should I have remembered this correctly). The author lost interest in the compo. I was given kind permission to host the SEUCK compo. The SEUCK compo has been continuing, although there have been breaks in between years. 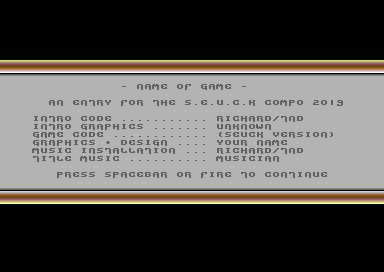 The aim of the competition was originally create a new SEUCK game without enhancements, or anything in particular (apart from music). This was until 2014, onwards, where I allowed mods and minor enhancements to be added to your own SEUCK creations. Such as huge sprites, sprite/behind background priority Now come 2018, this compo is brand new, and major changes have been made. The SEUCK Compo 2016 went slightly over the beginning of 2017. That was the reason for why there was no compo in 2017, unless you can count on the Spanish SEUCK Compo 2017 run by Errazking. SEUCK Compo 2018 was originally a themed based compo, but the theme restrictions sort of put people off entering the compo. So this year a set of new compo rules (and some old ones with modifications have been added to the compo page. As usual. The object of the Official SEUCK Compo 2019 is to design, plan and develop your very own SEUCK game creation. This year's compo has no particular category or theme. It is multigenre. However the idea of this year's competition is to develop and create your own game that should stun the gamers. As usual the game compo is open to beginners as well as advanced users. 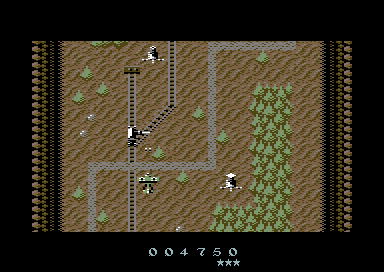 You can use either the standard or sideways scrolling version of the Shoot 'Em Up Construction Kit. The winner's game gets full enhancements as a prize and will be emailed to them first before the prize package (at the end of the compo) has been launched on D64 on the TND SEUCK Compo page. - Compo organizer (TND Games) is also allowed to submit entries in to the compo, which is likely to happen, but the same rules apply as to all the compo entrants. - Entries are allowed to be in Standard SEUCK or Sideways SEUCK. Enhancements may be added by yourself and entries mastered with SEUCK Redux are also accepted. - All entries must only be your own work. That is unless you are working within a group of friends i.e. the Demo scene, or a game development team with your submission. If that is the case please credit the other people who are/were involved. Or let us know who was involved, so that the credits before the game are 100% accurate. - Entries must be in .D64, .TAP or .PRG format. 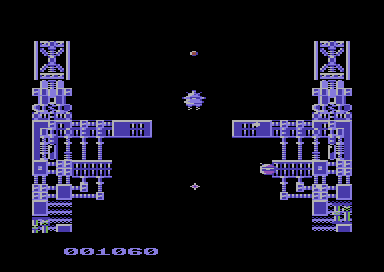 VICE or CCS64 snapshots are also accepted, but you must state which version of VICE/CCS64 you have used to capture the snapshot. Should you have difficulties saving your game to D64 or TAP format. - Loading pictures for your games, are welcome, although not compulsory. 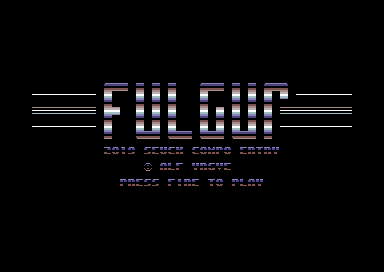 - Please ensure that a SEUCK/Sideways SEUCK game all data work file (FILENAME .I) has been included with your submission if you can. - Entries should contain new sound effects, rather than the existing example sound effects provided with the SEUCK utility itself. - Entries could at least have 1 collectible object which (later on) can be reserved as a random or progressive power up collectible (as main prize). Alternatively, the extra lives feature could be used as a power up. That's just an idea, not crucial. - Use of the TND SEUCK School tips are welcome. 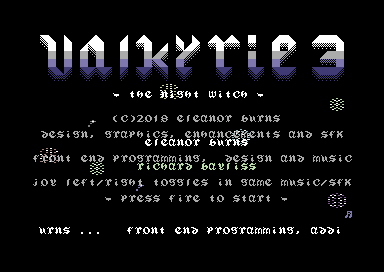 If you wish to try and make a new front end for your SEUCK game, and you know a bit of assembly code, you might want to try this feature on making a new front end. 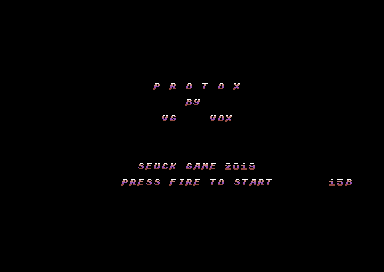 - Old unreleased SEUCK games of your own are accepted. - As long as the entry has not been released anywhere on the Internet before the compo. - Language used should be in English, but games in other languages are also accepted. 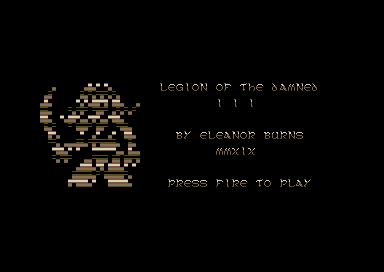 - Optional presentation: Using SEUCK's front end and character set - New score/lives chars and also a title logo. To make the logo - simply edit the unused letter chars to make the shapes that can possibly form the logo. - SEUCK Compo 2019 entries are allowed to be updated and replaced - but in fairness, will not be accepted if the deadline is reached - or was actually released publicly before being submitted for the SEUCK Compo 2019. - Do not submit a game or update of a previously submitted SEUCK compo entry, or a game that was already publicly released on the date before the SEUCK COMPO 2019. Sadly one or two entries had to be turned down, earlier on this year. Due to the game being released on the author's web site before the competition even started. Anything not suitable for the SEUCK compo, due to it being released publicly might be considered as a release for the TND Friends/Contributor's page instead of the compo. - Do not use graphics / assets from commercial game titles, or other people's games. - Do not use your entry to cause any form of conflict, politics or upset. - Do not use example attack waves, graphics from example SEUCK game demos. They must be your own work. You'd be surprised that many SEUCK games I saw actually used Slap 'n Tickle's attack waves time, and time again. Most definitely not recommended. - This competition is also open for beginners as well as advanced SEUCK users. - Please make your own sounds with the SEUCK's SFX editor, or replace the SFX with in game music (Should you wish to). - Try not to make your game too short. 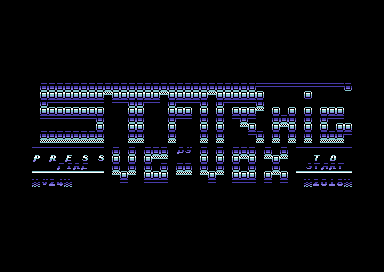 - Try to not put in too many sprites on the same screen. This will cause SEUCK slowdown syndrome. 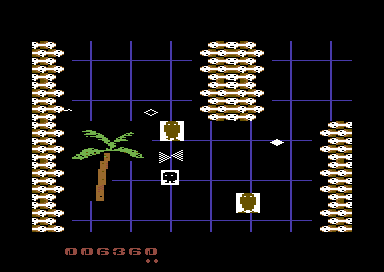 Remember that on one line - the C64 can handle only 8 sprites horizontally. - Do not rip logos and assets from existing demos, games, etc if they are not classed as your own work. Recycling of your sprites / background graphics from existing games of your own work is okay. - All entries must be exclusive for this competition, and must not have been seen elsewhere before your entry has been uploaded on to the competition page. - Deadline extensions may be possible, depending on the number of entries submitted to this year's compo. This will be announced, should that occur! 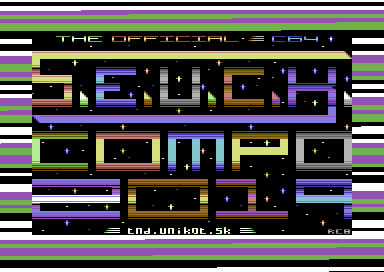 All entries submitted to the Official C64 SEUCK Compo 2019 will feature a suitable and exclusive piece of music on the front end of your game - unless of course you request no music to be added to the front end, or you already have a tune added by yourself. 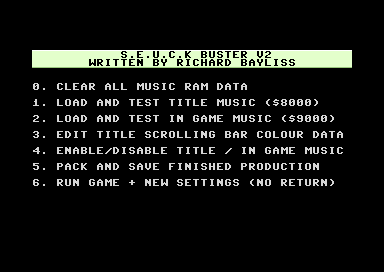 NEW FOR 2019: Entries will be mastered with a credits linker, and loading screen on both D64 and TAP compo versions. HAPPY BLASTING AND HAVE FUN! A message arrives from outher space for all living beings across the universe. Nucleo 447 is the name of that asteroid and it is now floating through the solar system. All spaceships sent inside it never came back. Now it is your turn to try to save the universe. There are 4 worlds: Crystal world, Green world, Rock world and the technologic world. After completing a world, you will be facing a final boss, which should be defeated in order to move on to the next zone. 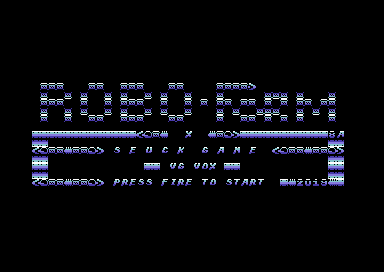 The protagonist is a robot activated to carry out a very important role in his world formed and created from machines and robots like its like that suddenly "like in an old pinball machine of the 80s", they go in "Tilt!" and they go crazy and a rebellion breaks out on the "Form-X" planet. The protagonist Captain John Rostar catapulted into a parallel universe in a hostile world dominated by technology and strange aliens and giant animals that resemble giant reptiles. The Captain must command a fleet of spacecraft and defeat and rescue two important Androids to leave this parallel universe. Find the 2 friends of your friends and defeat the aliens and monsters of the PROTOX1 planet. 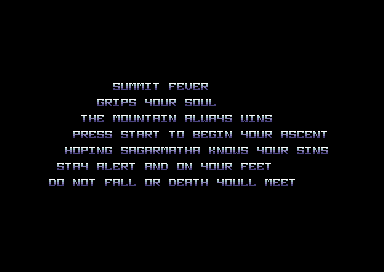 Summit Fever is a game of skill and endurance in which you take control of the world renowned, mountaineering legend, ‘Ste Pilthis’! Your mission being to guide Ste successfully to the summit of Mount Everest via the deadly southern route from base camp in Nepal to the top of the world! "Base calling Green Dragon and Blue Dragon... Come in, pilots! You are off course. Explain!" "This is Green Dragon. We are officially defecting. We declare political asylum." "Base to Green Dragon. Treason will be punished! We will shoot you down before you reach the border! Turn back now!" "This is Blue Dragon. Shove it, Base. We're leaving." "Base calling all military personnel! Code Fulgur! Green Dragon and Blue Dragon must not leave the country. Stop them at all costs! Repeat, code Fulgur!" You control two fighter ships at once. The BLUE ship flies close to the ground, and may crash into tall ground obstacles. It fires forward only. The GREEN ship flies at a higher altitude and cannot crash into ground obstacles. It can fire in all directions. 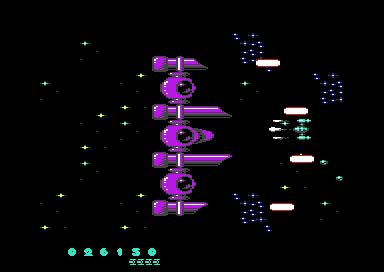 At the start of the game, your ships fly in a tight formation. Try to stay in tight formation, as this ensures double firepower. You are adventurer Illinois Jones. You were out on an adventure until you got lost. 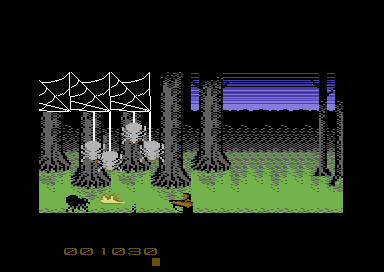 You now have a simple but complex mission, in which is to go through the dangerous depths of the freaky jungle. 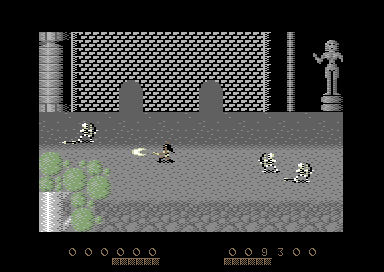 Then you must make your way through the dangerous temple of snakes. Knowing Illinois Jones, he likes to be quite greedy, and he decides to try and make himself a rich man. Unfortunately if he is to find treasure, and gems, he has to face a few challenges on the way. Luckily, he has his own secret weapon. He can only shoot it upwards. Help Illinois reach home - Can you help him return home and be awarded the rank of Snake Eyes? 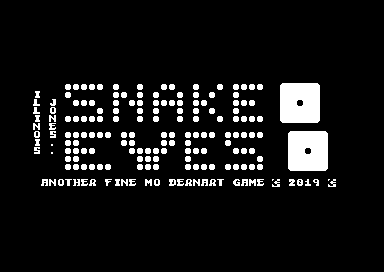 Can you adventure on further and beat the mini game "Baby Snakes," joining the Snake Eyes Elite? Coed -Elyon, is under threat from an evil spell, which is caused by a sacred stone, known as the Brex Rune. As Xandra, a fearless female fighting warrior. You must locate and destroy the deadly Brex Rune, heavily guarded by an evil demon. If you encounter the demon, you must find a way to destroy the stone. That stone can be found at Yaxley Tower. If you are to get this far, you must fight hard, encounter Faes, which will give you spells in which will help you on your quest. Good luck. The fate of Coed-Elyon depends on you. 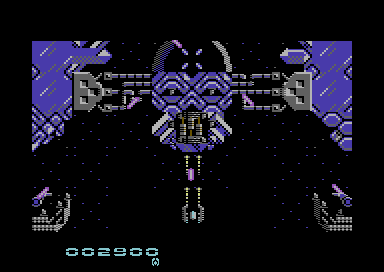 Typical space shooter set in a distant galaxy where the adventure of our hero takes place that must fight for survival by fighting against the alien fleet formed by more aggressive spaceships. Journey through to the flying platforms in order to defeat the Toders alien fleet on the planet Toder in a galaxy unknown to us. You are armed with your plasma ship cannon; watch out for the obstacles you will find ahead; usually marked by red lights on walls you will have to be careful not to slam into anything otherwise you will lose a life. Have a good fight! The latest utility that allows you to add optional title and in game music to your own front end or in game music on your SEUCK or Sideways SEUCK game creation. Also includes a classic SCR packer by F4CG for compressing your SEUCK titles. Full instructions/note file are provided on the D64. My very own SEUCK enhancement tips page, including various POKEs and assembly / ML listings to help boost the improvement of SEUCK game creations. 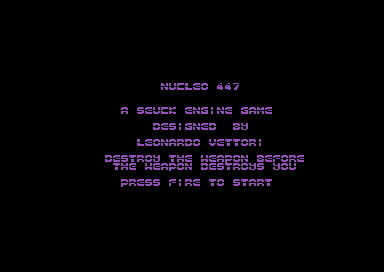 Also includes the C64 framework for SEUCK, and a few other cool tips. Martin Piper's open source framework for SEUCK games, and other bits. With this frame work, you are able to make SEUCK games more stable, and use better pixel perfect collision. You will be required to use the ACME cross assembler compiler (Martin's version is available with his full download pacakge), and a lot of programming knowledge.